Derbyshire closed Day Two of the Second XI Championship match against Worcestershire on 80-3, leading by 40 runs heading into the final day. Resuming on 40-1, the Worcestershire top order reached 105-2, before Brett D’Oliveira was caught behind for 43 off H Wanford. Alex Milton top-scored with 68 and Joshua Dell added 64 as the visitors reached 301-7 in the afternoon. 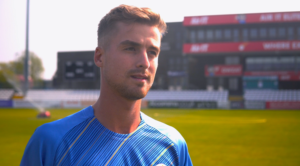 Hamidullah Qadri claimed two wickets, as did Wanford and Sam Conners and Derbyshire took four wickets for 29 runs to bowl Worcestershire out for 330. 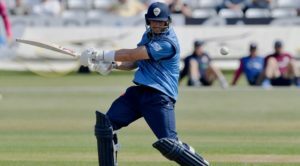 Trailing by 40 runs after the first innings, Derbyshire lost Harvey Hosein (8) with just 12 runs on the board. James Kettleborough made 19, but Tom Wood failed to build on his 82 in the first innings and he was out for nine. 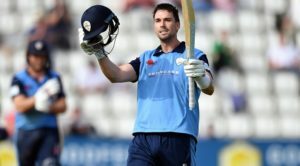 Callum Brodrick closed on 27 not out as Derbyshire ended the day on 80-3, leading by 40 runs at Belper Meadows CC.